The Clay Collective | TallGuy Productions, Inc. Founded in 1997 by Steve Tesmer, TallGuy Productions is a full-service web design company. Our goal is to understand the needs of our clients, and deliver a finished product that integrates clean design, logical organization, and the appropriate level of technology at an affordable price. 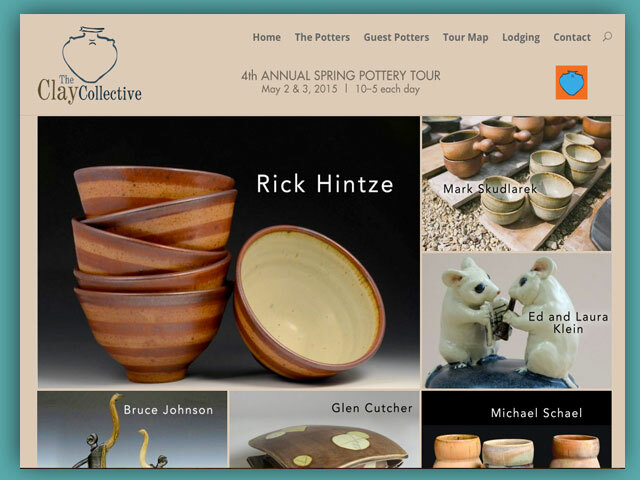 Every spring, the Clay Collective holds its annual Spring Pottery Tour, a self-guided driving tour of clay studios in south central Wisconsin. Located about 30 minutes southeast of Madison, Wisconsin, the tour is easily reached from Milwaukee or Chicago. The pots on display and for sale represent a diverse range of clay work, from functional or decorative to sculptural, and also a wide variety of clays and firing techniques.